On an unusually warm sunny morning at the beginning of April two members of the North West Raptor Protection Group were watching a male Hen Harrier at a well known breeding territory in the Forest of Bowland on moorland owned by United Utilities. Conducting their meticulous observations from an elevated position overlooking a potential territory the Harrier suddenly disappeared. A shepherd calling loudly inducing his flock of sheep to follow him appeared on the scene driving a four wheeled quad bike onto the moor crossing the Hen Harrier’s territory. As the male Hen Harrier had not started to breed the shepherds activity was not illegal, however his actions witness by an RSPB officer was perhaps irresponsible at such a critical location where Hen Harriers had established their nests in successive years. What happened next came as a surprise summing up graphically the bad politics at play in Bowland. Making their way back down the established vehicle track over the heather covered hill located half a mile from where the male Harrier had been observed quartering the valley below, the two raptor workers were spoken to by the same official who earlier had witnessed the shepherd crossing the moor. 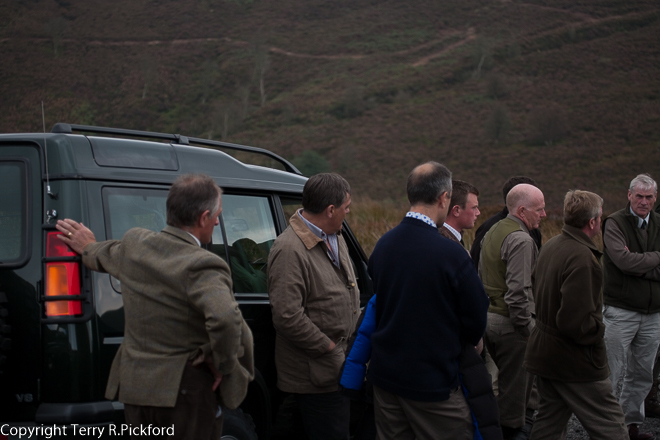 The man was concerned that both NWRPG members had been sitting in heather suitable for breeding Hen Harriers. What this individual failed to appreciate before making his remark, at least 60% of heather cover throughout Bowland is suitable for breeding Hen Harriers, however due to the Hen Harriers continued persecution throughout the Forest of Bowland there are very few Harriers left to occupy or breed upon such moorland habitat, suitable for breeding or not. How can anyone with a responsibility for protecting raptors in Bowland, object to where someone was sitting watching a Harrier from a safe distance? Then curiously on the other hand completely ignore a man made situation directly preventing Peregrines from returning to a breeding territory as depicted in this video? 4 healthy peregrine chicks 2009. Image captured by Terry Pickford at the same eyrie as depicted in the video above. Terry Pickford ringing one of the 4 peregrine chicks in 2009 at the same eyrie as depicted in the video above. Watch the video attached, and ask yourself why no one made any objection to United Utilities about the installation of the water monitoring stations or the erection of a crow trap just 100 metres distance from a historic Peregrine nesting cliff ensuring no Peregrines would return to breed at this site in the future? In hindsight Ian Grindy, the then UU estate manager was correct. However, what no one expected was that Peregrines nesting on the estate at that time would also begin to disappear after the company had over-ruled their estate manager, returning not only gamekeepers, but also syndicate shoots to all parts of their Bowland estates. As of this year we can stipulate with a reasonable degree of accuracy, ten former peregrine territories that existed on the United Utilities estates in the Forest of Bowland are now abandoned. United Utilities have a clear statutory responsibility for the protection and well being of wildlife on the moorlands in Lancashire they own and manage. Resulting from the disappearance of both Hen Harriers and Peregrines from their Bowland estate demonstrates this legal responsibility is not being upheld. 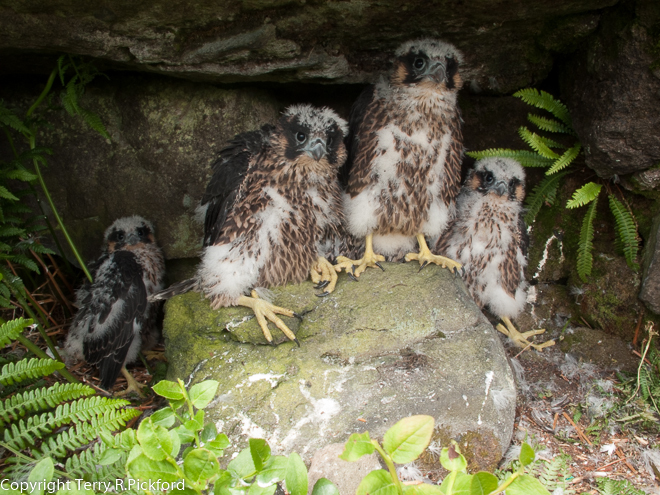 6 comments to Forest of Bowland raptors being undermined by complacency and bad politics. Sadly how many more locations around Britain could this video be repeated! That’s a very informative video pal. I remember watching chicks on that scrape, two years running around 2008/2009. At that time, this was without doubt the one site which we classed as untouchable. UU need to act on this. It is a very real ongoing problem at other nest sites too. I can’t say anymore for now pal. So where are RSPB and NERF in all of this? 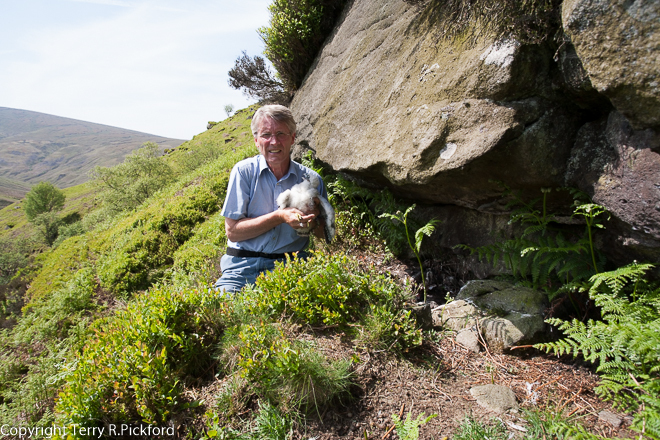 Surely you have their support in what you do on behalf of Peregrines in Bowland. They cannot all be in with the bad guys. Editor’s Comment. Hi Peter, Members of the NWRPG don’t need support from either the RSPB or Nerf? Both of these organisations have been conspicuously silent on the appalling situation in Bowland for a long time. The NWRPG are doing a great job of informing the public of the facts which otherwise no one would be any the wiser. I think 99% of experienced fieldworkers would choose an elevated position,In any given area, when watching for breeding harriers. They would also have immediately flagged up a problem with the crow trap,and the water samplers. The problem being, this type of person no longer operates in Bowland, at least not under licence. Due to persecution,this and other Peregrine sites may never be reoccupied. This does not excuse the incompetence of the licensed monitors of these sites, nor of United Utilities who should have them logged. Nothing has changed on this estate for twenty five years. Since the attempted prosecution of Carl Smith and the late Paul Stott,to the departure of Ian Grindy, the harassment of the NWRPG by Lancashire police, and the removal of that groups licenses, UU seem to me to be unduly influenced in the management of their own estate by the agenda of others. As the National Trust in the Peak District are hopefully starting to realise,a firm hand, and strong convictions, are necessary to improve the situation in the uplands. Step up to the plate UU, discharge your legal obligations,even if that entails some loss of Grouse shooting revenue,you will gain the respect and gratitude of many, many people. Who knows you may even get a new demand for your shares from the birdwatching public? As for the RSPB,and Natural England,please take your collective heads out of your own arse holes. Yet again,well done Terry Pickford . Without your hard work and commitment , we non locals would not find out the truly appalling history of raptor persecution in the Forest of Bowland . Your efforts shame the so called bird protection charities. It amazes me that think Bowland is worse than anywhere else for persecution because it is not. Hen Harriers in the Yorkshire Dales gone after years of persecution, the same on the Durham grouse moors, they are intermittent in the Peak District all down to the men in tweed. Peregrines are almost but not quite absent from all grouse moor areas, as are Goshawks whilst Shorties get scarcer every year. Bowland was the exception and a jewel but changes of management on the private estates mean even on UU things are terrible despite RSPB and Bowland Raptor Group. Driven grouse shooting is the problem it is rife with criminals who don’t care about anything but the bag and screw the law.